Current events throughout the entire year of 2015 and thus far in 2016 have occurred with remarkable effect and consequence. The U.S.-led war on Syria and CIA-instigated Ukraine Civil War are just two events which held the world captive. The Syrian refugee crisis continues to loom large over the whole of Europe. The summer of 2015 saw a stock market crash in China, a mini crash in the USA, Greece effectively went bankrupt (again) and Puerto Rico declared bankruptcy. Paris became the site of a European 9/11, which was then used to lock down the U.N. Climate Conference and Paris Summit. France has gone to further extremes and used the false flag ‘terrorist’ attacks to enact unprecedented emergency powers on the way to passing draconian security legislation. Just like the pressured passing of the Patriot Act post 9/11 in the USA, the French Government has used the exact same game plan. A lot more than that happened in 2015, much of which occurred under the radar. Perhaps the biggest event of the year was the exposure by Russia of the conspiratorial plot hatched by the USA, Turkey, Israel and Saudi Arabia. Who would have ever guessed that these four nations were responsible for creating and supporting ISIS? Not only did they conspire to fund and finance the Islamic State, they also armed and equipped ISIL to carry out a war of sheer terror across the Northern Levant. Turkey especially has been war profiteering from each and every wave of terror that ISIS has unleashed. 2016 is shaping up to be 2015 on steroids. Given the current context provided by 2015, how can 2016 unfold in any way but in the same fashion as 1776. As a matter of historical fact, the year of the signing of the Declaration of Independence and 2016 share the very same astrological synchronicity. 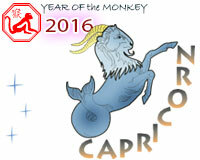 In fact, the last time that the Year of the Fire Monkey occurred while Pluto was cruising through Capricorn was in 1776. The Year of the Monkey occurs once every 60 years. Pluto careens through Capricorn in cycles of 240 years. Hence, the 2016 synchroneity happens only once every 240 years, give or take a few years. The revolutionary fervor, which has been steadily brewing against the imperious dictator Barack Obama, is quite similar to the colonists rebelling against Great Britain’s King George during the pre revolutionary war period. Many patriots, pundits and commentators have rightly perceived that the U.S. Federal Government has become every bit as oppressive as the English Monarchy. The official actions of the BLM stand as testimony to the fundamentally anti-American entity that the U.S. Inc. has become. Even the stars portend striking parallels between the revolutionary spirit of 1776 and the upcoming Revolution of 2016. Every knowledgeable astrologer will agree that the 1770s saw the planet Pluto cruising through Capricorn just as it has been since 2008. This particular transit only occurs once every 240 years and does not bode well for those who populate the establishment. Especially those who occupy the greatest positions of power throughout government, the military, law enforcement, banking and the like, will be seriously challenged. Ultimately, the entire power structure of American society will find itself under tremendous assault and inordinate stress, as it should be. Certainly the English Generals and their mercenary armies did not fare well when Pluto was barreling through Capricorn during the Revolutionary War. When the most powerful navy and best equipped infantry on Earth are defeated by roving ragtag bands of minutemen, there must have been far greater forces at work than the once almighty British Crown. And so there were. For those who are uninitiated into the knowledge of the Shemitah, it is important to understand that the year of the Super Shemitah officially began on September 14 of 2015 and ends on October 2 of 2016. It is known as the Super Shemitah because it is the Biblical Shemitah Jubilee. Not only is this particular Super Shemitah the 50th anniversary of the preceding series of 7 times 7 Shemitah cycles according to biblical scholars and historians, it is also the 70th Super Shemitah. Some have even suggested that it is actually the 120th Super Shemitah which would align it perfectly with the ending of the Kali Yuga of Hindu Cosmology, as well as the final days of the Mayan Long Count Calendar. No matter what long term calendrical calculation is utilized, the current Super Shemitah of 2016 is without question the last and final one. There simply cannot be any more because of a number of crucial factors and non-negotiable necessities which are well beyond the scope of this essay. Suffice to say that this Super Shemitah has been preordained from On High, as well as strictly dictated by those who have ‘managed’ the main events of the Hebrew calendar from time immemorial. In fact no other phenomenon will better ensure that the fatal flaws and myriad shortcomings of GE&FS (Global Economic & Financial System) will be exposed and eradicated than the Super Shemitah. The entire corporate model (aka the Government Corporate Complex) is now under serious assault, as is the current incarnation of Anglo-American predatory capitalism. The world community of nations is now witnessing the glaring effects of the inherent defects of Western-style ‘free market’ capitalism. Yes, it is a free market for the 1% to enrich themselves at the expense of the 99%. That these calendrical and cosmological convergences are all transpiring in the very same year can only mean that 2016 is the year that the End Times will begin in earnest … and will completely break out into the open for all to see. Simply put, the overwhelming energies associated with each of these extremely powerful and historic happenings alone would have drastic effects and dramatic influences on any given year. 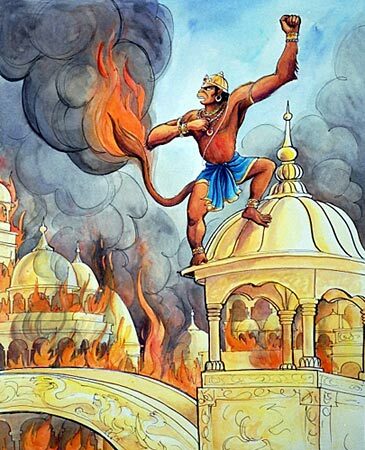 When they all occur in the very same year — 2016 — there can be no doubt that this year will deliver all the high drama that can only occur when the Fire Monkey takes center stage on February 8 (The Year of the Fire Monkey begins on 2/8/16). The rapid acceleration of time and events which are associated with the end of the Galactic Creation Cycle of the Mayan Long Count Calendar (MLCC) is another phenomenon which 2016 has already seen over the past month of January. Global events are now occurring so quickly that it is getting more difficult by the day to process them. One major event happens, followed by another, to be followed by yet another. They are occurring in such rapid succession that many have shut off their TVs because of the over-stimulation and overriding effects on daily life. Controlling news content from the Internet is a far superior way to receive the world news without all the deliberate obfuscation and emotional charge that the news networks routinely deliver. 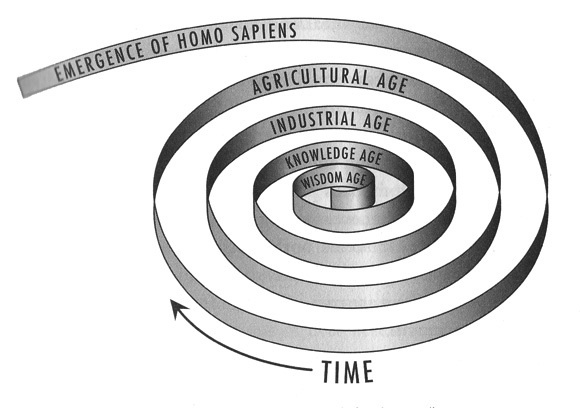 There is actually a confluence of powerful and predictable circumstances which have conspired to accelerate the current downward spiral up the evolutionary ladder. As a matter of fact, the Mayan Long Count Calendar (MLCC) quite presciently predicts the collapse of civilization as we know it. The various creation cycles (as illustrated by the MLCC) evolve in a way whereby each one moves substantially faster than the previous cycle. For example, we are now cruising through the Galactic Creation Cycle (GCC) on the way to the Universal Creation Cycle (UCC). The GCC roughly aligns with the Internet Age. It will be followed by the UCC which will unfold in a manner that will be too much and too fast for most to bear. The present Age of Information effectively began in 1995 when the Internet really started to gain prominence throughout the USA and Europe. This single development would soon change the way we all live, work and play. It would also provide access to an enormous amount of information and data to every digitally connected person. More significantly, countless portals into vast libraries of mundane knowledge and spiritual wisdom have also been made available to the masses. With these meteoric changes taking place on the planet while the Earth itself is undergoing a massive transformation, there is now the inherent potential for many things to jump off without warning. Unanticipated monumental events will now happen when least expected. The number and intensity of these unpredictable occurrences are occurring because the entire space-time continuum is undergoing a metamorphosis of sorts. In fact it is re-conforming itself to a new kind of consciousness that has been slowly emerging but is now quickening. Do you feel it? Now the reader understands why 2016 is guaranteed to be a year of “Super Convergence and Awesome Consequence”. How can it not be?! This long waited and eagerly anticipated new era of human evolution is both unprecedented and unparalleled on Planet Earth. This particular transition period — 2016 and beyond — can best be described as the time when humankind will be “passing through the eye of the needle”. It has been elaborately prophesized by all the holy scriptures of the major religious traditions of the world for this reason. Christian and Jewish, Hindu and Buddhist, Islamic and Jain holy books have made it clear that the time is now upon us. The Judeo-Christian-Islamic monotheistic faith traditions have been particularly prophetic about the immediate future of the planetary civilization. Their churches and temples, mosques and synagogues are full of utterances and writings about the coming Great Tribulation*. Whether these are meant to be self-fulfilling prophecies or not is quite moot at this point. 2016 has been divinely preordained to unfold as a year of awesome consequence; the aforementioned super-convergence of authoritative calendars and ancient prophecies stand as a heavenly decree of what must soon come to pass. The Old Testament prophecies of the Judaic faith tradition are quite specific about the literal unfoldment of the “end of days” as if a scroll is being unfolded. The Jewish narrative revolves around the extremely profound understanding of the MOEDIM. The MOEDIM truly represents the divine signposts that are as immovable as they are dynamic. Each one has pointed to the direction that human civilization would take. Each one captures the precise timing of those defining events which will determine when the “Shift of the Ages” will occur incrementally. It is all elaborated by the MOEDIM for those who have eyes to see and ears to hear. Within the Judaic tradition there exists what is known as the MOEDIM (literally translated as “fixed time” or “season”). 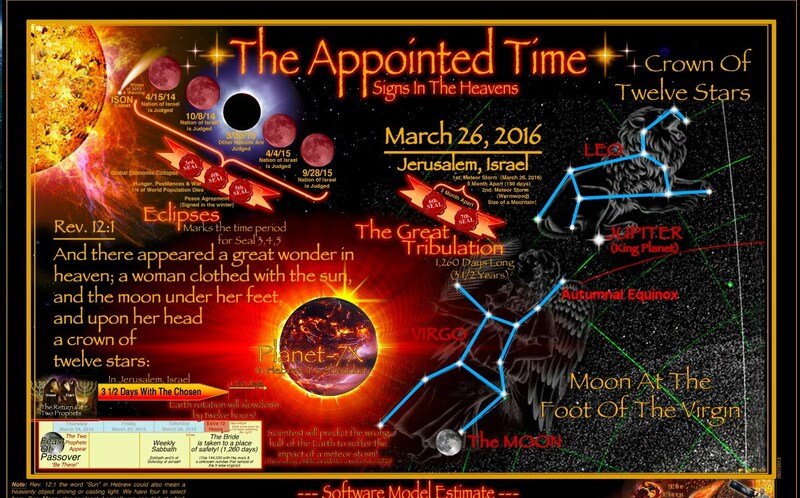 Also known as “Divine Appointments” with humanity, the MOEDIM are always scheduled from on high and, therefore, fall within the domain of God’s prophecy. Prophecy which issues forth as these “Divine Appointments” cannot be changed except by the Will of God. The preceding link contains an excellent video presentation on the MOEDIM which can be easily understood by everyone regardless of their spiritual orientation, religious faith or lack thereof. It is perhaps the most important video on the Internet concerning the inviolable precepts of the MOEDIM. There is perhaps no greater indicator of where the present race of humanity is currently situated on the cosmic timeline than the current travails of the Kali Yuga. To ignore the highly prophetic messages inherent in the unraveling of the twilight of the Kali Yuga is to do so at one’s peril. For it is the divine pronouncements found in the Vedic holy books which truly tell the story of our times. The Kalki Purana is especially revelatory in this regard as it expands upon the coming the Kalki avatar. Known reverently as Lord Kalki by his devotees throughout the East, his life and death serve as a point of demarcation for the conclusion of the Kali Yuga. His rarefied spiritual teachings, which revolve around the sublime sacred science and philosophy of Kundalini Yoga and Kashmir Shaivism will serve as the new religious paradigm for the upcoming Golden Age. Hence, it is by correctly understanding the prominent configuration of Lord Kalki within the affairs of men that the coming denouement can be known. Also known as “The Purnahuti of the MahaVishnu Avatara”, the life of this exceedingly great Indian saint and master serves as the definitive signpost for all that is to follow. For it is only through his awesome global mission that the human race has been blessed with the necessary grace and spiritual wherewithal to make it through these challenging times. Were the truth to be known about the true blossoming of spirituality which has occurred in the worldly background over the past 60 years, most would be stunned to hear of how it actually transpired. They would also be amazed that the prophetic scriptures — of all the great religions of the world — have in fact been fulfilled. However, they will soon be equally amazed to see that the fulfillment has occurred completely under the radar and only in a manner known to very few incarnate souls. This is the way it always is; this is the way it was meant to be. Truly, the Kali Yuga always ends in the same way. It starts with a global population explosion and ends with all the things that human societies are now experiencing worldwide. The tearing of the social fabric as seen throughout Western societies is particularly symptomatic of the final stretch, as is the epic war shaping up between the East and the West. 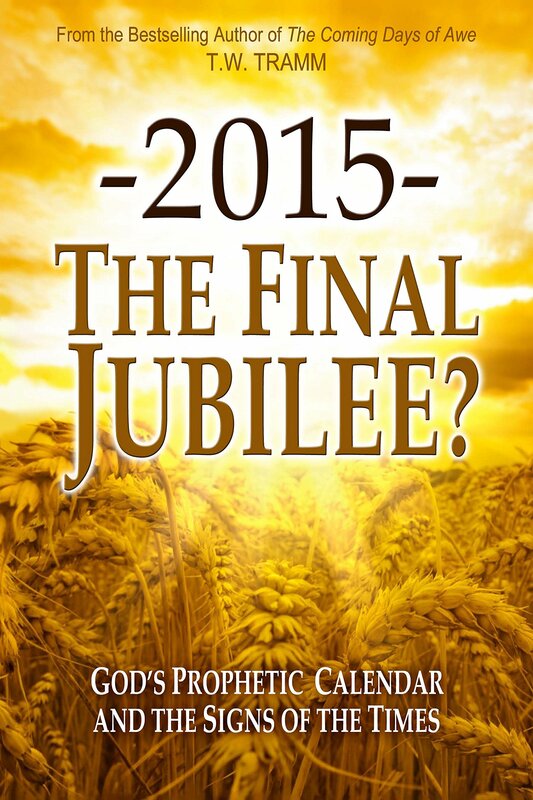 In reality the end time events which were widely predicted for December 21 of 2012 are soon to unfold in 2016. Between now and December 31st of this year the entire planetary civilization will be seized by the transformative energies which have been emanating from the Galactic Core of the Milky Way Galaxy. These cosmic rays are now washing over every cubic inch of Planet Earth. Nothing is immune to their deeply penetrating spiritual energy. Each powerful wave of cosmic energy has as its original source the very womb of creation—the Divine Mother of the Cosmos. Therefore, there is only one way to orient oneself with regard to this inexorable Cosmic Convergence. Surrender and humility. Ease and grace. Courage and perseverance. When each of these divine virtues is exercised in full measure, the Universe stands in support of those who manifest them. The obstacles and pitfalls which now lie in front of every human being are now numerous and formidable. Nevertheless, by faithfully flapping the two wings of grace and self effort, every spiritual aspirant can arrive at their chosen destination. Yes, the Godhead is that close every moment of every day of one’s life. For those who have serious challenges putting these necessary qualities into practice, it would be best not to get in the way during this period of meteoric flux and epochal transformation. As a matter of survival, there may even be times when the best thing to do is get the heck out of the way … fast! Vajrayogini, the Tridevi of Mahashakti is washing over the planet like a tsunami of cosmic energy. Hence, if you have problems riding the crest of the tidal wave of shakti created by Her primordial and all-powerful Paramashakti, at the very least, do your best not get crushed by the incoming waves.